Few rare and amazing historical photos I could collect from the web representing Syrian Air Force and Airways aircraft from 1940s till 1960s. 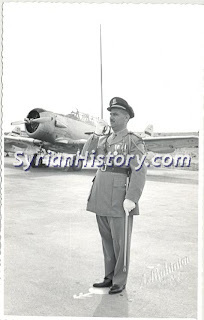 Starting with a photo from 1946s for the future commander of SyAAF, General Wadih Al Muqabari standing on the wing of T-6 Texan in an undefined airbase. 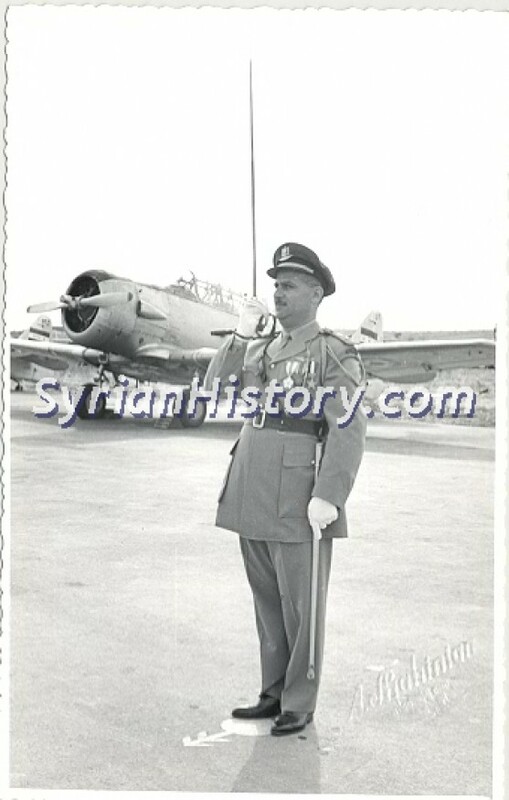 Another photo for the commander of SyAAF that time General Wadih Al Muqabari in early 1950s standing infront of a row of T-6 Texans in an undefined airbase. 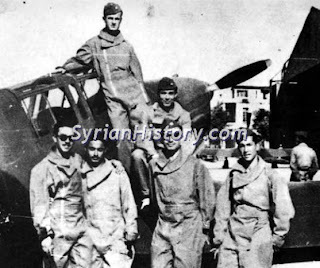 Photo for young cadets of SyAAF gathering beside a FIAT G.46 taken in 1950s and young Hafez Al Asad aside the canopy on the top. This photo was taken in the Military Academy in Homs according to the source of this photo, while ACIG stated it was taken in the AF Academy near Aleppo. Note the other airframe in the background infront of the hangar. A photo of Syrian president Shukri Al Quwatli just stepped in Aleppo airport in 1945, is it a Beech D-18 ?!? 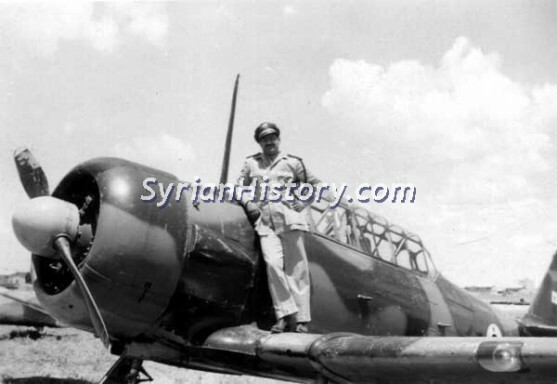 Rare photo for Percival P.44 Proctor said to be used by Syrian government. 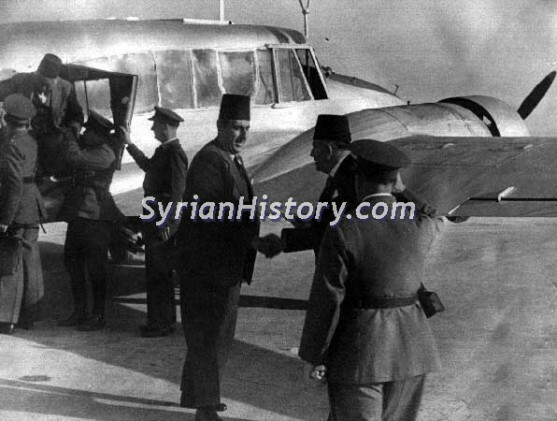 President Fawzi Selu stepping down from a Douglas DC-3 in 1952. President Jamal AbdulNasser receiving senior Syrian officers in the United Arab Republic (UAR) In 1959, at the background also a Douglas DC-3 operated by Syrian Airways. 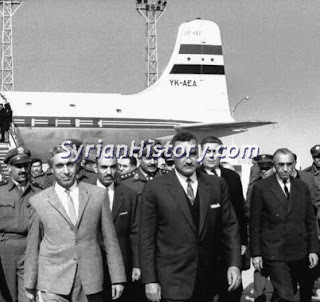 President Amin Al Hafez at Cairo Airport together with president Jamal AbdulNasser in August 1963, just after arrival by a Douglas DC-4 reg. 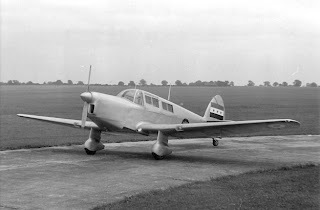 YK-AEA. 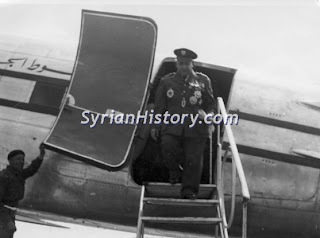 Is it a DC-4 or Douglas C-54 Skymaster? Supermarine Spitfire F 22 was one of the first fighters together with the Fiat G.55 to join SyAAF before the arrival of the first jet Meteor. Ten ex-Egyptian airframes were acquired in late 1940s, all units were withdrawn from service in 1953. 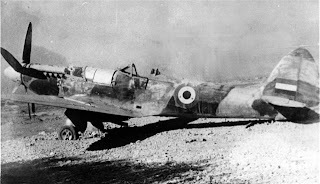 Not too much info available about Spitfire history in SyAAF service or combat record,one very rare photo above showing wreckage of a Spitfire F 22 from which the artist above inspired its camo. 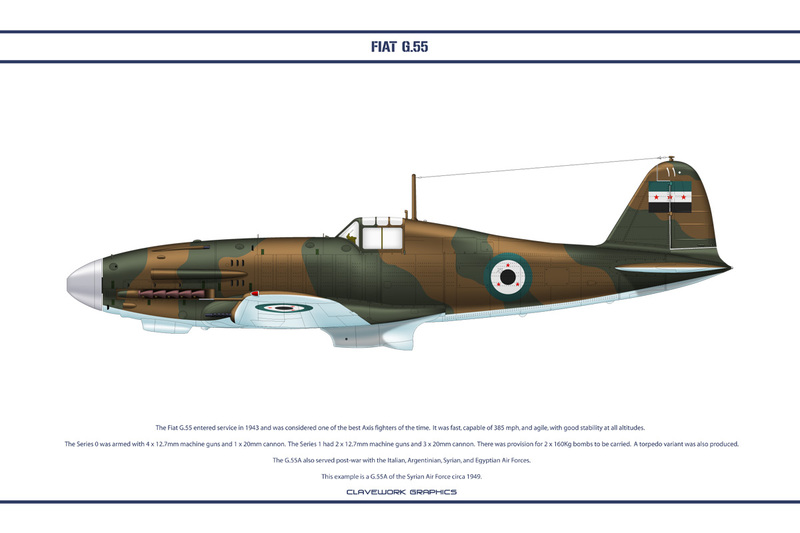 The Fiat G.55 is another fighter served for SyAAF when Syria bought its first squadron of G.55 and G.59 from Italy in late 1940s. 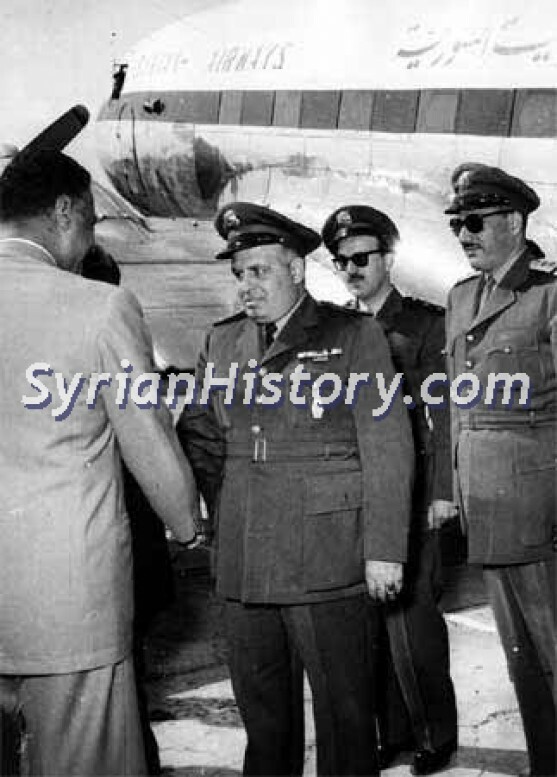 According to wikipedia, Syria placed an order for 30 similar aircraft, which by this time, were completely from new production as the stocks of G.55 components had been exhausted. 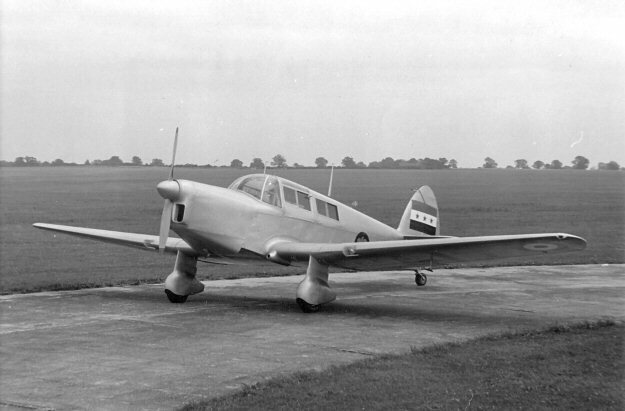 Of these, 26 were single-seaters (designated G.59-2A) and the remaining 4 two-seaters (G.59-2B). Another very rare photo for a SyAAF G.55 reg. 110, most probably in Neyrab AB. 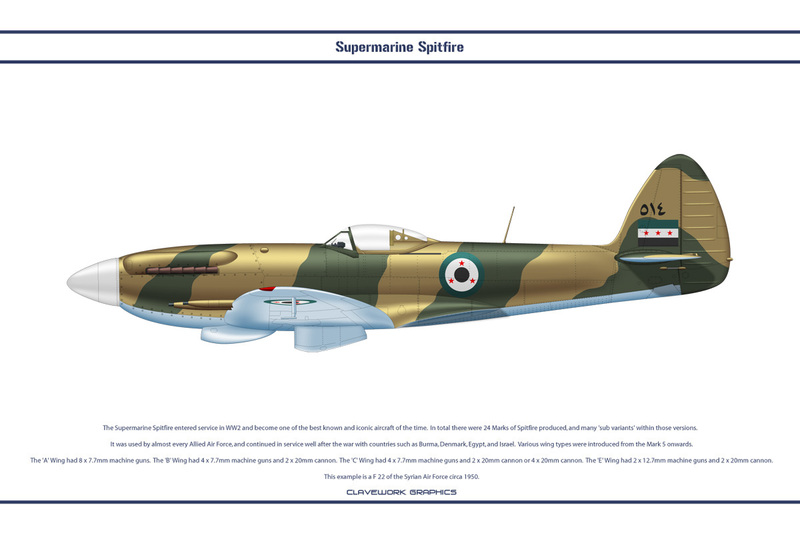 After almost six weeks, GE did a great job as they always used to, and enormously updated many AFB's all around the world; I just gathered them in a .kmz GE file to share it with you, and you can yourselves review them clearly. Dmeyr AB in Syria, shows newly gathered Su-22's, are they phased out? 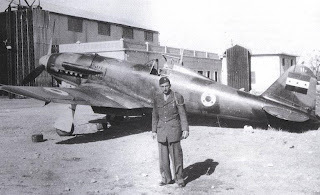 Also in Khelkhle in Syria, few Mig-21's are gathered near a further HAS, are they phased out too? New video appeared on YouTube showing a Syrian Il-76 of the military transportation brigade landing in Hama AFB, said to be transporting weapons and units from Iran to support "Assadian" forces. It's such an interesting video through which we can see for the first time Hama AFB with many Mig-21's distributed here and there, Mig-23's and few Mi-8/17's.